Sprawling layout will give everyone their own space! Open the front door to an inviting over-sized foyer covered with new hardwood floors leading you throughout this dream home. This freshly renovated, 1st floor, 1800sqft home offers 3 generously sized bedrooms & 2 baths. (All bedrooms have custom blackout blinds) The master suite is complete with a soaker tub, separate over sized stand-up shower and dual sinks. The chefs kitchen offers SS appliances, plenty of counter space, breakfast island & 21sqft walk in pantry that can serve multiple purposes! Also part of this hot home is 2 assigned tandem parking spaces, in unit laundry hook up and pets are ok! 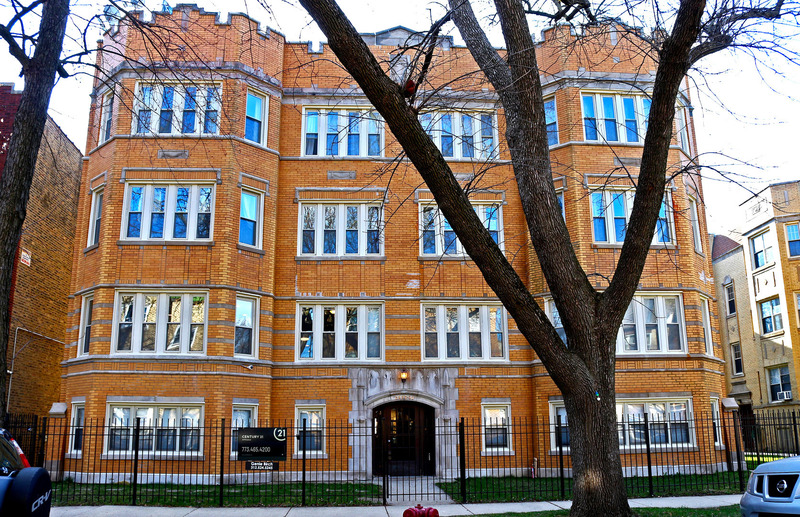 (Quiet Hours Apply) Home is walking distance to shopping, dining, Brown Line bus stop and numerous parks! What more could you ask for? This one wont last! Schedule a showing today and come see the home where your future memories will unfold!